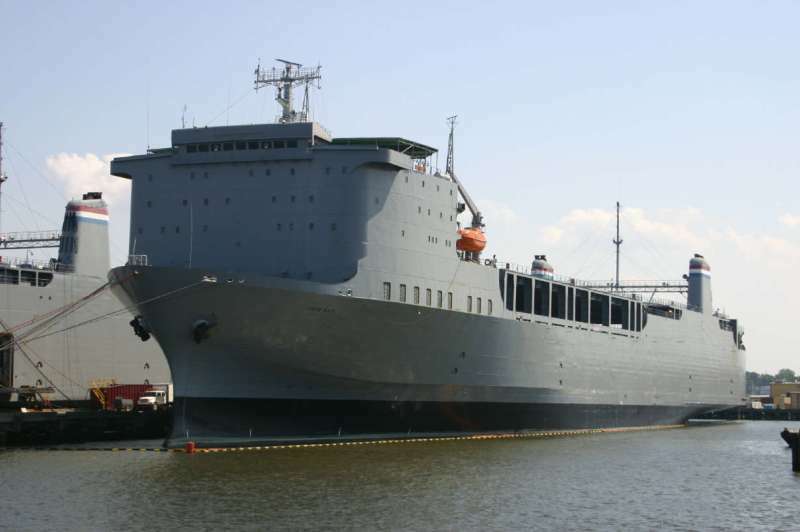 Operated under contract by Keystone Shipping Co., Bala Cynwyd, PA. 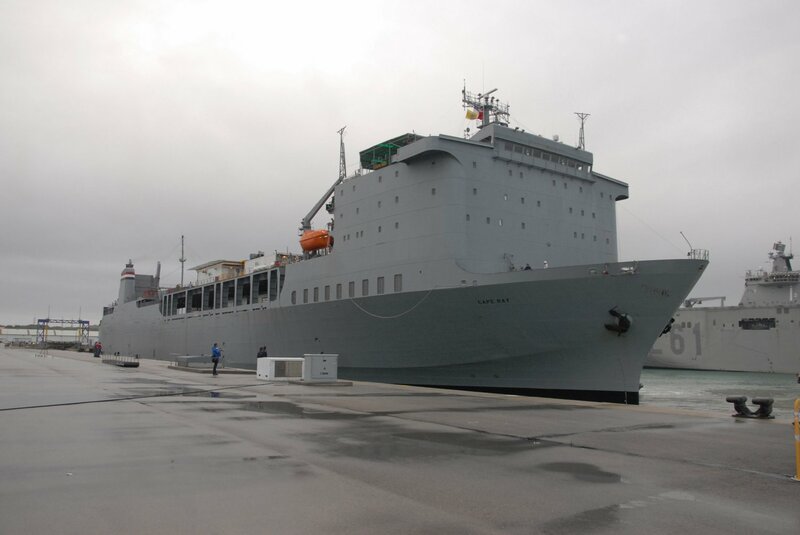 Cargo Capacity 132,209 sq. 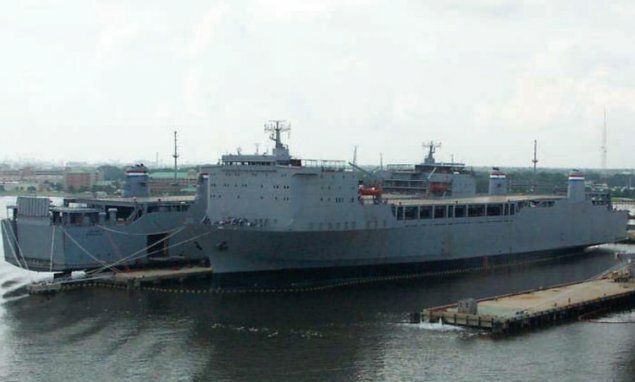 ft.
280k MV Cape Ray (AKR-9679) moored at Moon Engineering Co, near Norfolk, VA.
155k MV Cape Ray (AKR-9679) departs General Dynamics NASSCO-Norfolk shipyard for sea trials. 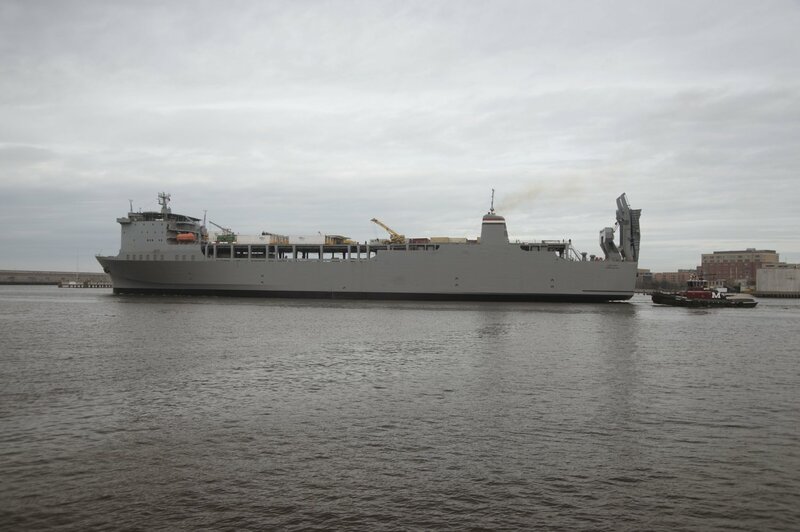 195k MV Cape Ray (AKR-9679) departs General Dynamics NASSCO-Norfolk shipyard for sea trials. 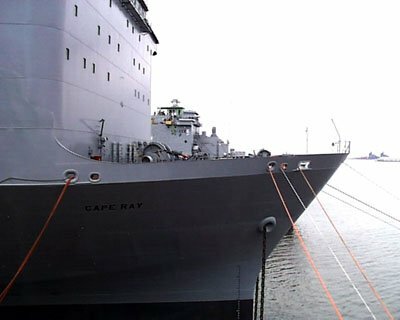 255k MV Cape Ray (AKR-9679) performs sea trials off the coast of Virginia prior to deploying to the eastern Mediterranean Sea. 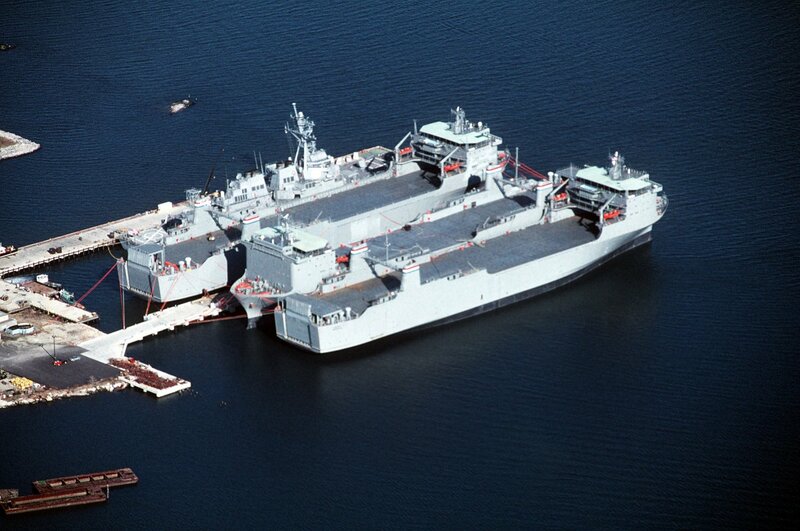 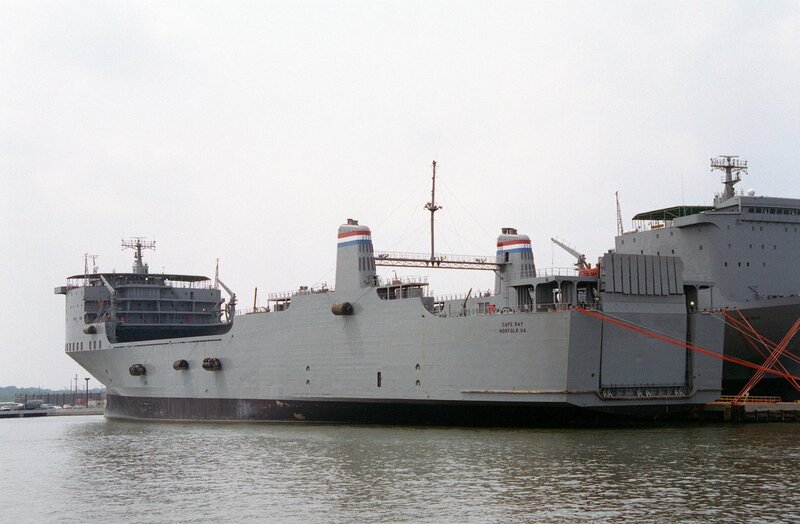 The Cape Ray is modified to dispose of Syrian chemical weapons in accordance with terms Syria agreed to in late 2013. 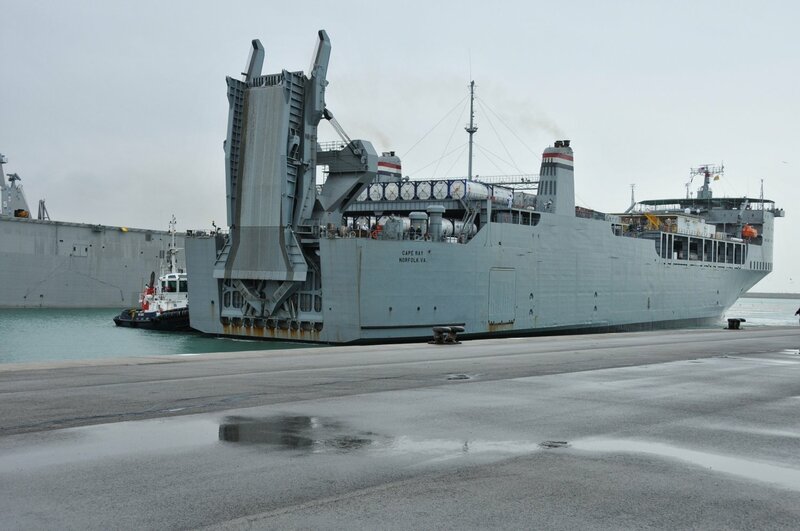 140213-N-TM034-067 ROTA, Spain (Feb. 13, 2014) 240k MV Cape Ray (AKR-9679) arrives at Naval Station Rota, Spain for a scheduled port visit. 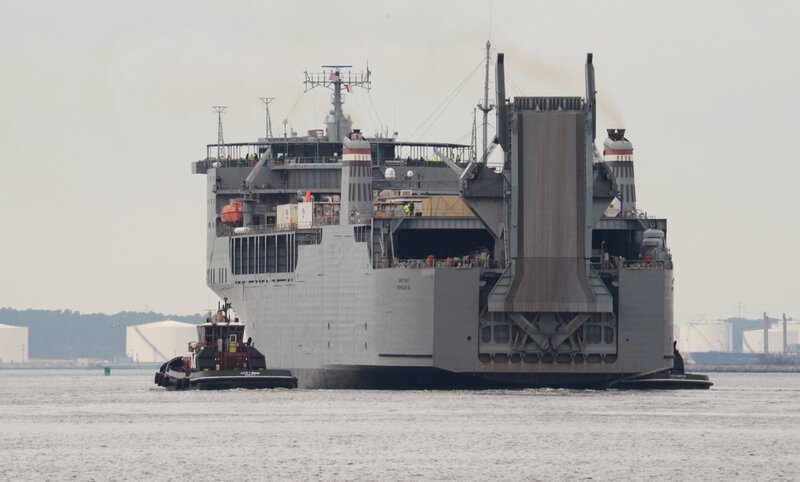 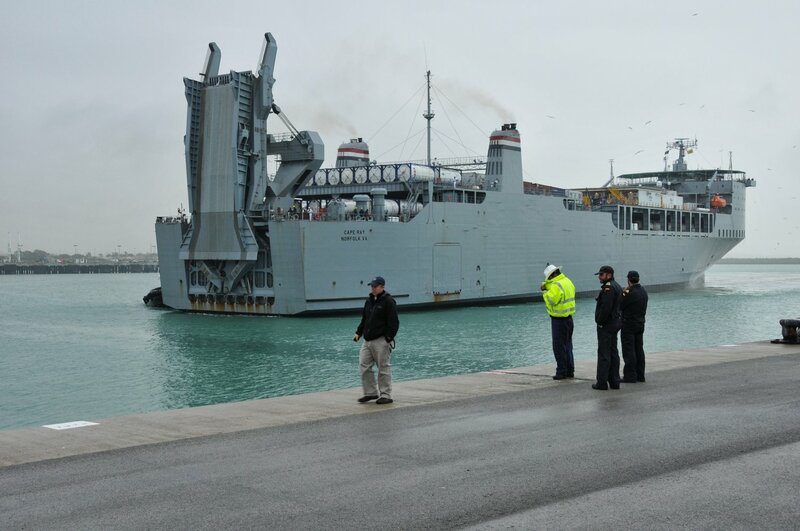 The vessel was modified to contribute to the United Nations and the Organization for the Prohibition of Chemical Weapons joint mission to eliminate Syria's chemical weapons materials. 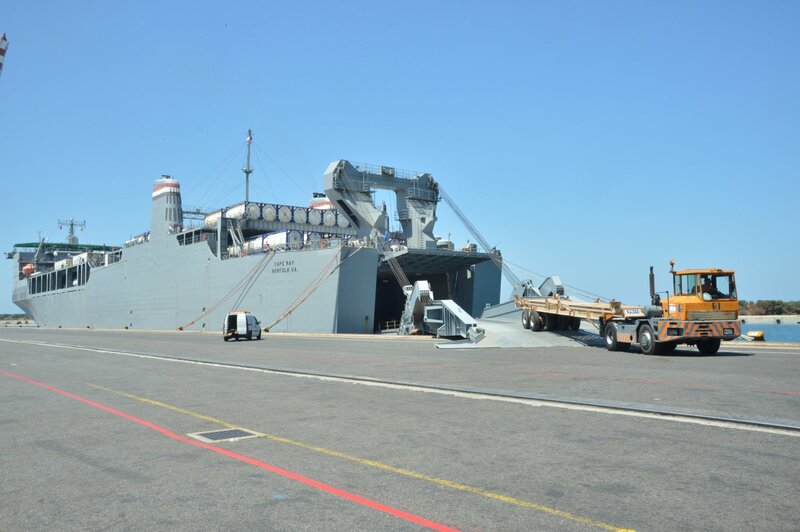 187k The Danish cargo ship MV Ark Futura transfers containers to MV Cape Ray (T-AKR 9679) at the Medcenter Container Terminal, Gioia Tauro, Italy. 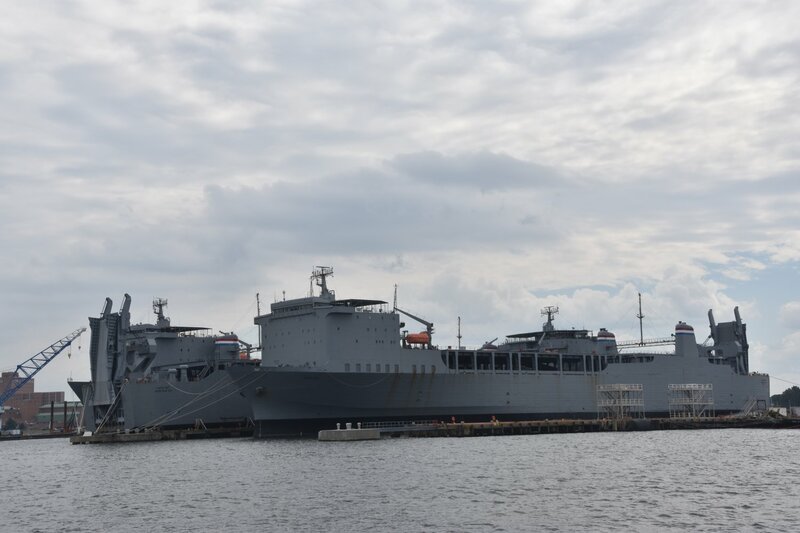 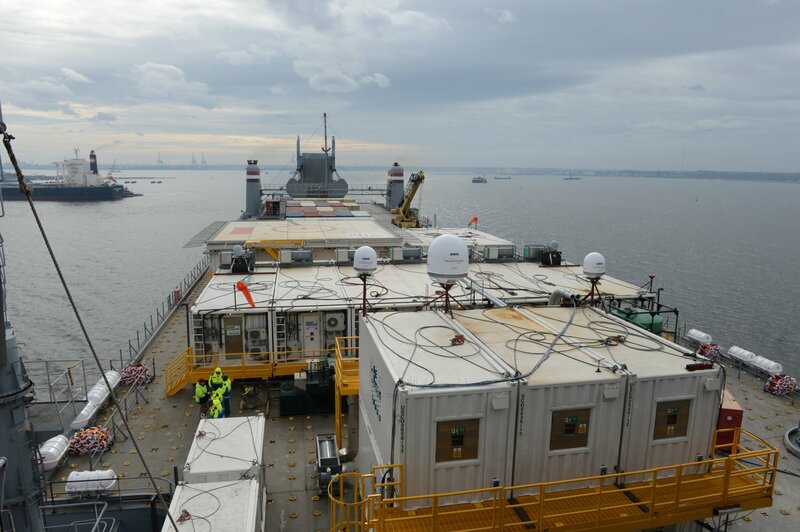 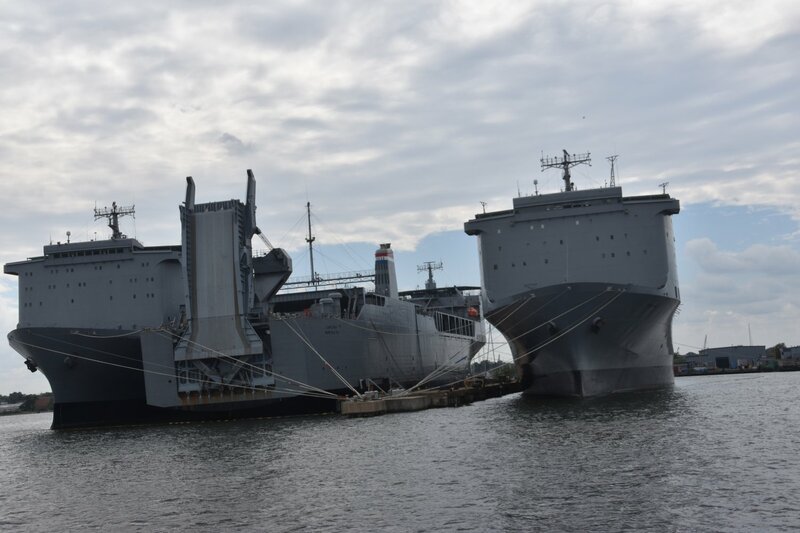 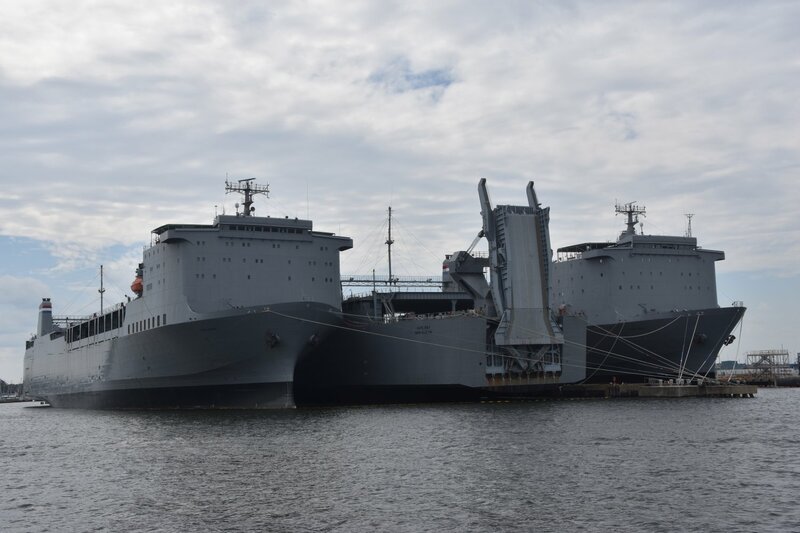 Cape Ray is tasked with the neutralization of specific chemical materials from Syria in accordance with the Organization for the Prohibition of Chemical Weapons (OPCW) guidelines while operating in international waters.